Upma bonda is a very easy and simple dish. It can be made with leftover upma or can be prepared with fresh upma also. This is not a new dish, but made very rarely. Take leftover upma or it can prepared fresh also, make small balls of it. In a bowl mix chick pea flour and rice flour. Add salt, turmeric powder and chilli powder to it. Add water and make smooth batter of it. The batter should be like that of dosa batter, neither too thin nor too thick. 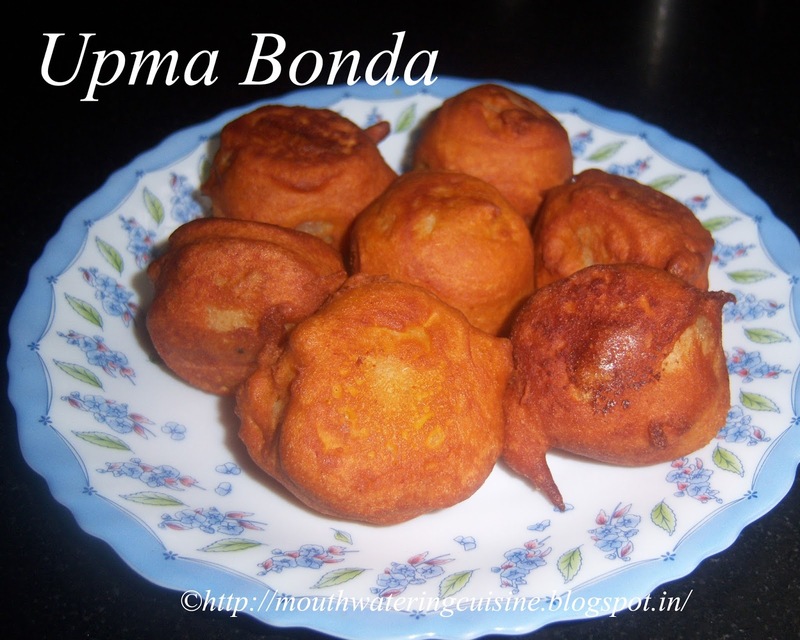 Dip each upma ball in the batter and drop it in the hot oil. Fry it in a low flame and till they turn into light golden brown shade. 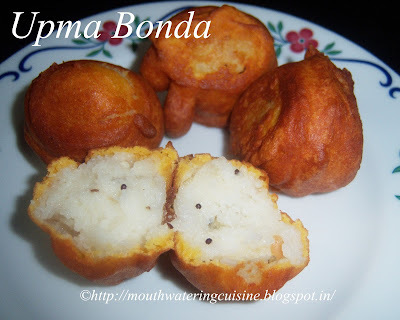 Serve hot upma bonda as evening tea time snacks.